I love being social. Yeah, it’s draining, but I was so eager to create a holiday mood in spite of the fact that we were wearing shorts and bare feet outside. Our dead end street has 12 houses. Overall, 45 people were invited! 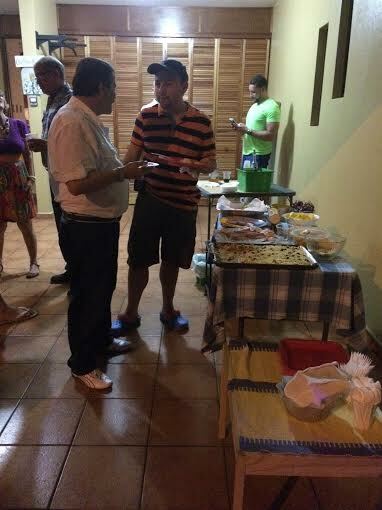 (In the end about 30 attended) I bought copious amounts of food. And I was desperate to make the party fun so I bought some firecrackers. Nothing says fun like pyrotechnics. Success! We held the party in our garage and driveway. 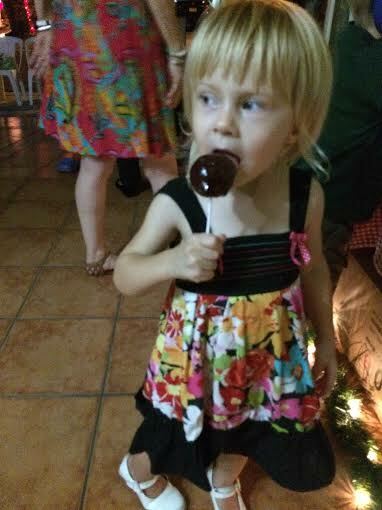 I played my newly acquired salsa/Puerto Rican Christmas songs along with my swing holiday songs. EVERY neighbor brought food to pass. We ended up with more food at the end of the party than I started with! 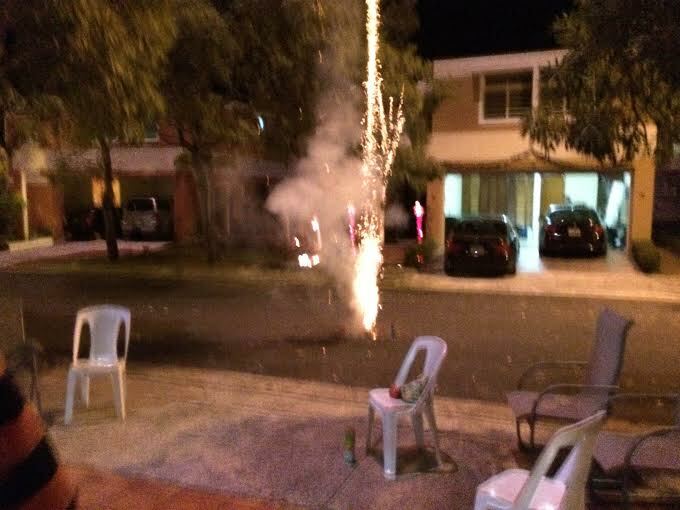 The firecrackers were a big hit except to the little kids who all screamed and were shuffled quickly in our house by their mothers. oops. I don’t think we’re outsiders anymore. 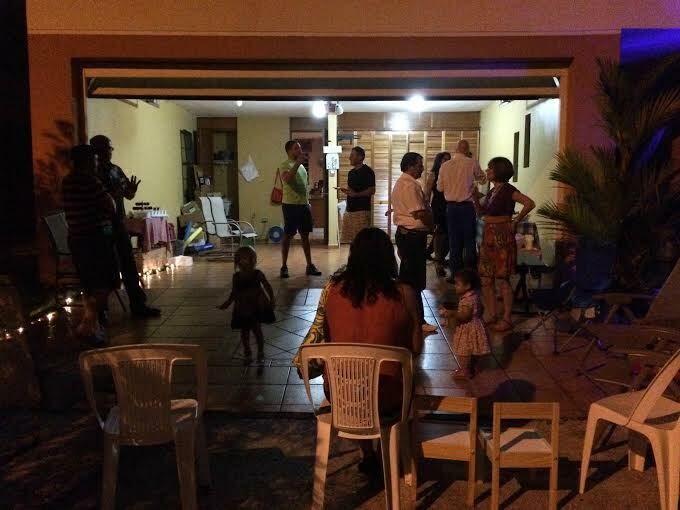 This entry was posted in neighborhood and tagged Christmas, neighborhood party, Puerto Rico, street party. Bookmark the permalink.